Make sure the requests of your loved ones are carried out. 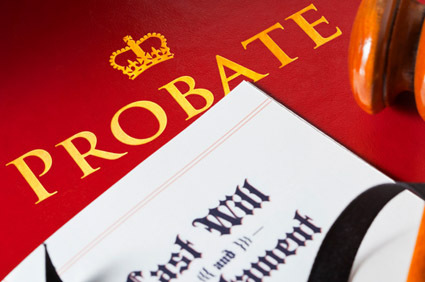 Probate is the court supervised administration of a person's estate and is required when a person dies without a will, or with an estate in excess of one hundred and fifty thousand dollars. This process is governed by the California Probate Code. It can be a costly and time consuming process. Typically, the longer a probate case is open, the more fees are charged against the estate. Knowing the steps to take and when to take them is crucial in ensuring the probate process is smooth and completed in a timely manner. A lawyer can help you make sense of this process. 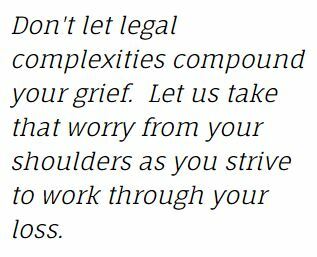 Important legal decisions should rarely be made while dealing with the grief that attends the death of a loved one. The probate process is confusing enough without adding this strain. Typically, you will have time to initiate the probate process. However, it can often times evoke strong emotional memories and feelings. By allowing a lawyer to help you with this process, you are free to focus on your well-being without the practicalities of our legal system intruding.